Centre of excelence at Srinagar . One Centre of Excellence with the total project cost of Rs. 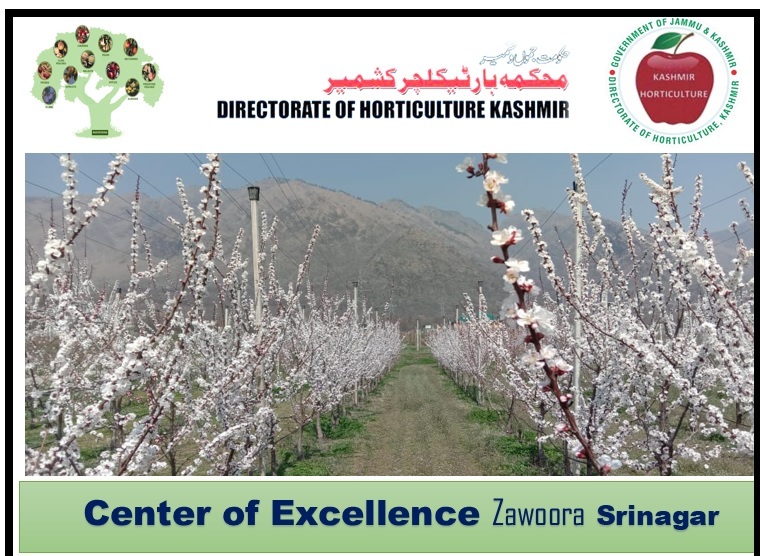 902.10 lacs has been sanctioned at zawoora Srinagar by GOI under MIDH Scheme under indo-Dutch work plan .The Centre will serve as demonstration and training centre as well as source of planting material for farmers. Construction of Building accommodation for facilitation centre of the project. Hi-tech Green house (4No.s) 15x6=450 Sq meters. Canopy Management & micro-irrigation for Covering major Crops.